Turkish kilims are one of the best examples of human skill and craftsmanship which started many years ago and have continued till today with utmost distinction. Kilims are flat tapestry woven rugs. They are one of the topmost choices for floor coverings and are also used as wall hangings, pillow, cushion covers and such. 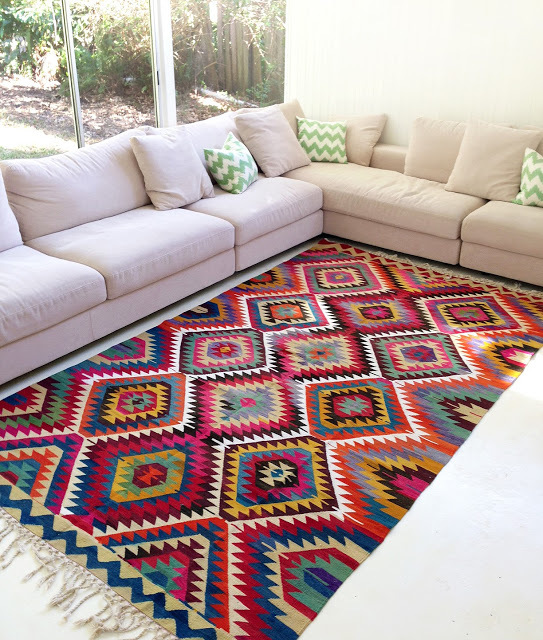 Kilims make your interiors stylish, elegant and bring about a global feel. The manufacture of kilims and rugs started in medieval Turkey during the Seljuk period. Myriad conditions like economic, environmental, cultural and political culminated to start this glorious tradition in Turkey. Most kilims and rugs were made in the region of Anatolia and so, they are also called Anatolian. The wayfaring Turkic people of then Turkey are credited as the first weavers. The kilims of various regions of Turkey are distinguished by their style of creation, materials used, symbols, designs and patterns. The kilims were adorned with enchanting and engaging designs and patterns, gripping colors and exquisite artistry. Turkish kilims are known for their unmatched weaving. The kilims are made by employing symmetrical or double loop knotting system. Here, all knots are secured on two warps which make the weave stronger and help in making more elaborate designs. Horizontal and vertical- both looms are used in their creation. 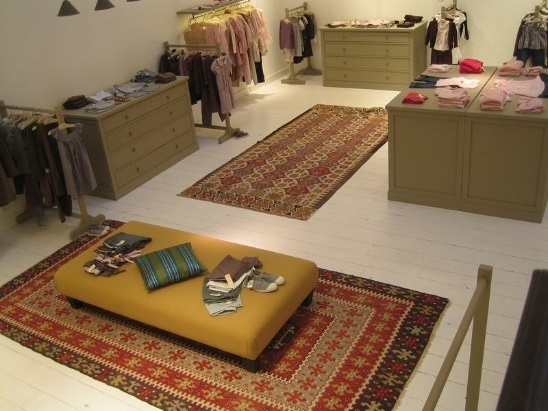 Wool is the most favored material for kilims. Cotton and silk kilims are also being made increasingly. Silk kilims have the most intricate designs. Old kilims were woven by hand whereas modern kilims are both hand woven and machine made. Modern kilims have triumphantly carried on this industry and there is no let off in style, quality and beauty. We have a vast assortment of top notch Turkish kilims that is sure to catch your fancy. Amazing prices, friendly customer service and prompt delivery make us one of the most loved stores in the UK.